I think custom stationery is one of those fun indulgences worth partaking in once in a while, either for yourself or as a gift. And Ashley Woodman of Simply Put in Atlanta, makes the decision really easy. 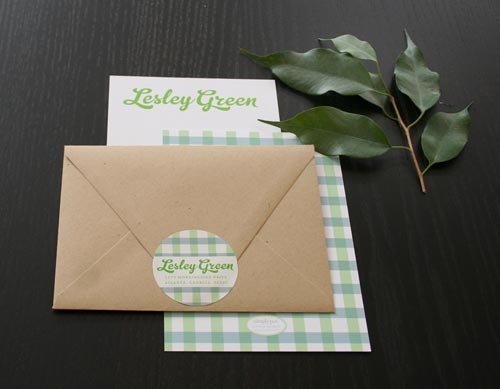 Ashley has been designing and creating custom stationery since 1999. 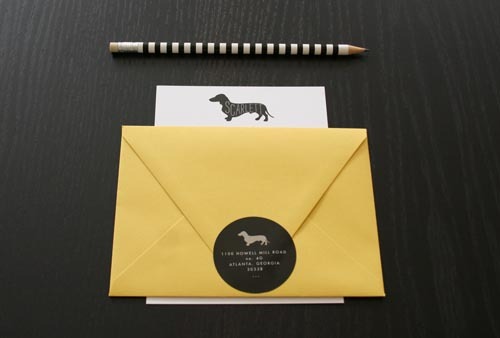 As she shares, "Personalized stationery reflects the letter writer's personality. If a person is cheerful and bright, the colors seem to be bright as well. Same if a person is more laid back and subtle, the stationery usually takes on more of a neutral palette." Ashley has a modern aesthetic with a dose of colorful whimsy. As she explains it, "We like to think of ourselves and our line as being fresh and clean but with a slight sense of humor. We are traditionalists at heart but are loving designing in this millennium." As the US Post Office nears bankruptcy, the hand written note lies threatened with extinction, or at the very least, the endangered list. Yet there is nothing like a hand written note. Because of its unique personality, I believe it will endure. As Ashley shares, "Letter writing is one of the easiest things to do to make someone feel special and appreciated." 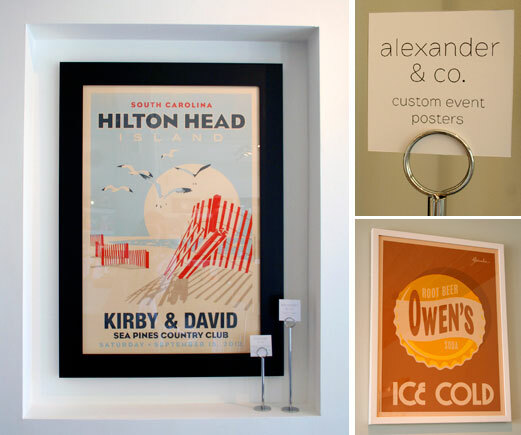 At Simply Put, Ashley and her team can create all manner of goods. 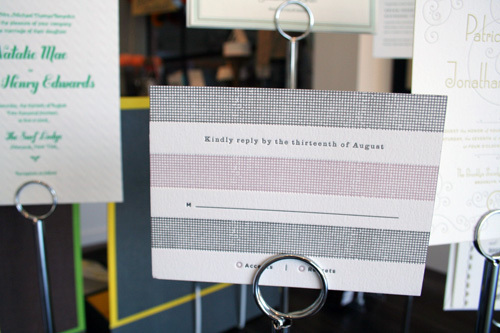 Ashley explains, "We letterpress, engrave and flat print wedding invitations, birth announcements, invitations for showers, birthdays, milestone events, mitzvahs and anything else you can think to announce." And Ashley can create a cohesive look for any event, from the glassware and tablecloths to the books of matches...but that's another blog post. If you live in Atlanta, you're probably a fan of the west side of town. I often find myself in the White Provision stores, (or across the street) perusing and grabbing something good to eat. So I was happy to stumble upon a new store called Simply Put. 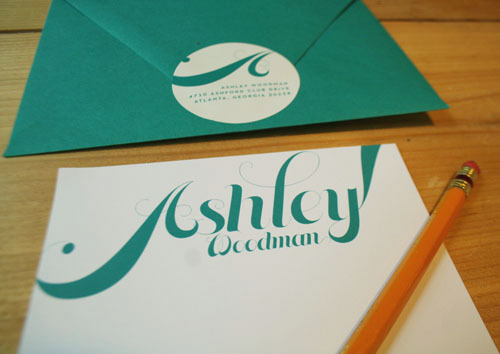 Ashley Woodman began designing invites and stationery in 1999. Her classic yet modern style attracted a lot of attention and over time she has been able to build her business. Her new workspace, where she takes and fills orders, now has a storefront, filled with fun and pretty items for the home. She has three rotating sections of the store that carry their own theme: Farm to Table (kitchen), Trophy Wife (couples related and some more masculine items) and Game Night which needs little explanation. Above is Game Night. This is a well curated shop. So many of the items are ones you haven't seen in other shops. I always like finding a well designed, unique gift for my nieces or nephews and all her kid items fit my needs to a T.
Before the store front opened, Ashley was always at the stationery shows. They would routinely bring some candy to add a little color and personality to their booth. Now it's a good luck charm and a whole candy counter is a part of the space. Ashley let me know that her and her Simply Put team are designers first and foremost. For over ten years now, she's been designing and customizing a bevy of items- from the basic invite down to the napkins and matchboxes. So if you're looking to create a look for your wedding or next party, she can customize it all and give it a cohesive design theme for all your elements. I love everything in her store so that's a good sign that I'd also love her design work. Ashley grew up in Augusta, Georgia and her Southern roots are never far. As she explains, "No matter how modern or out of the box I get, I'm deeply rooted in tradition." There are some unexpected items in her shop, like the candy or some hair ties but as she says, "They are all things that I love. They may not fit but they're unexpected and me." And it's true, Simply Put is a collection of her favorite things. But now... their mine too.